This year celebrates the 38TH Anniversary of the Terry Fox Run! Come join us Sunday, Sept. 16th to walk, run or bike 1 km, 5 km or 10 km Road Route OR walk the Port Hawkesbury Community Trail from the Playground to TEC and back. A great walk for the whole family! Come out and help support the Terry Fox Foundation for Cancer Research! Bring a friend and have a great time keeping Terry?s Dream alive! 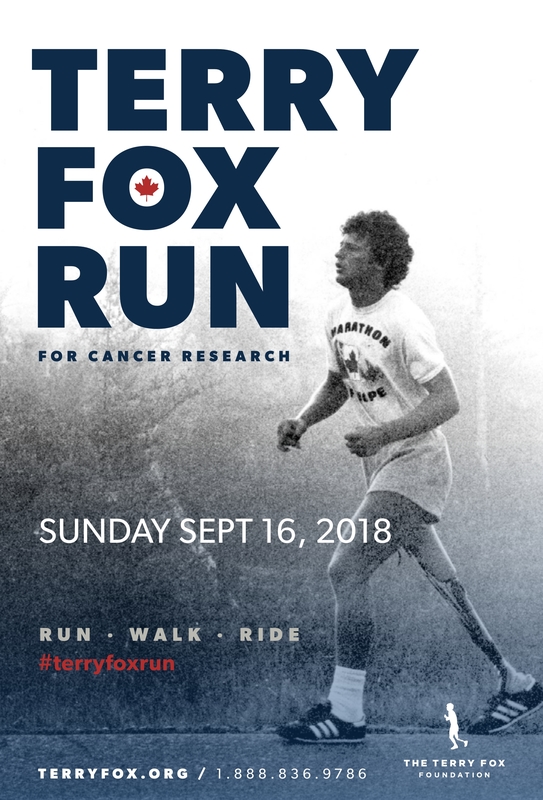 Register online at terryfox.org or just show up at the Port Hawkesbury Community Park on the day of the event. For more information to participate or to volunteer, call Sarah at 902-625-5405 or find us on Facebook: The Terry Fox Run ? Port Hawkesbury. No minimum entry fee. Raising pledges is optional. Donate what you can and join the fun!